I have talked before about how much LP loves to read. His love of books has only grown the past few years and now that he can read he is always looking for new stories. 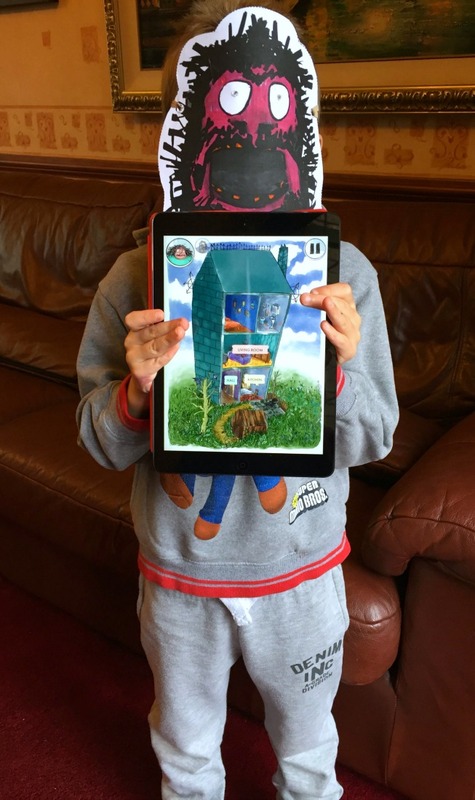 When new apps come along for his iPad that relate to stories that's even better and that's why we couldn't wait to try out Roald Dahl's House of Twits app. We have just finished reading Roald Dahl's Charlie and the Chocolate Factory, and LP has just watched the old movie The BFG. The Roald Dahl books capture LP's imagination and he's whisked off to the faraway lands to enjoy amazing adventures. 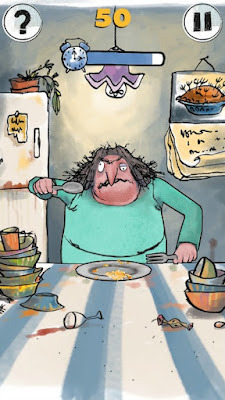 Some of my favourite stories were written by Roald Dahl; The BFG, Charlie and the Chocolate Factory, and George's Marvellous Medicine (I learned to spell 'marvellous' because of this book!). 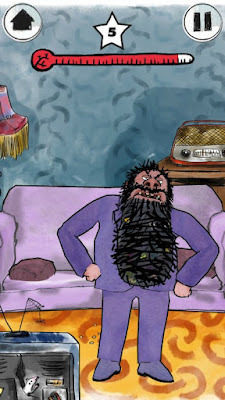 In the new House of Twits app the mischievous characters come to life and you can now play tricks on them. Yesterday I downloaded the app and LP spent some time exploring and playing tricks on The Twits. It was an immediate hit with lots of mini games that he had no trouble playing. 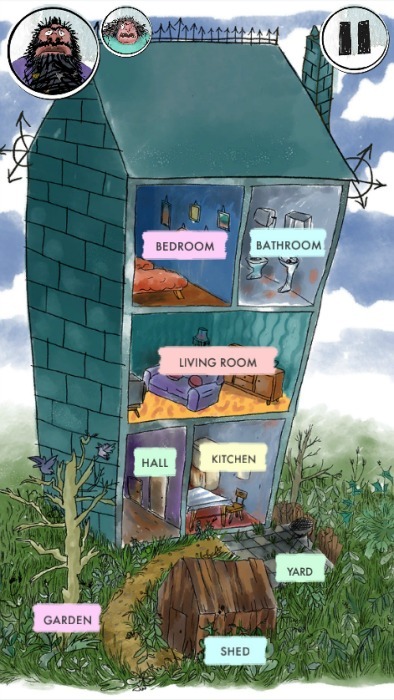 Roald Dahl's House of Twits is aimed at players aged 6-8 and I'd say that's spot on. LP turned 6 in April and he loves the app. In a couple of hours LP had levelled up enough times to unlock all the rooms in the house. He loved levelling up because he got special tricks each time he did. He didn't want to put the game down because he wanted to unlock Mr Twit. After playing the games for a while LP and I had some creative fun. 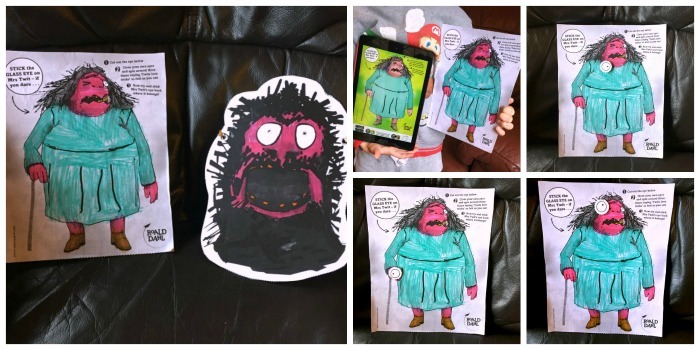 My printer is black and white so when I printed the Mr Twit mask and Mrs Twit game they obviously weren't very colourful. 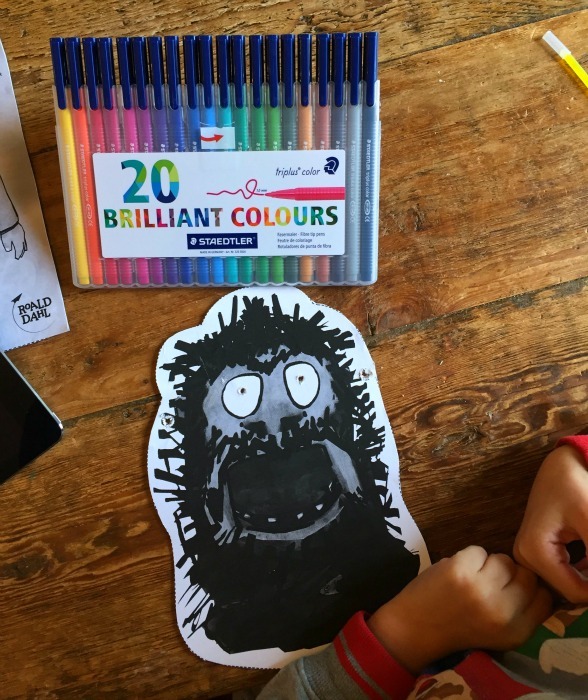 That didn't stop us though, LP decided to get out his felt tip pens and colour Mr Twit in. He spent a while choosing the right colours, he wanted to get it just right. When he was finished he was proud of his attempt and couldn't wait to put it on to show everyone. Next came the game, which LP also coloured in. Sticking the eye on Mrs Twit was very fun and LP enjoyed playing. LP's first and second attempt at getting the eye in the right place didn't quite work out, but his third attempt was spot on! We had loads of fun this half term with the House of Twits app and the activity pack. 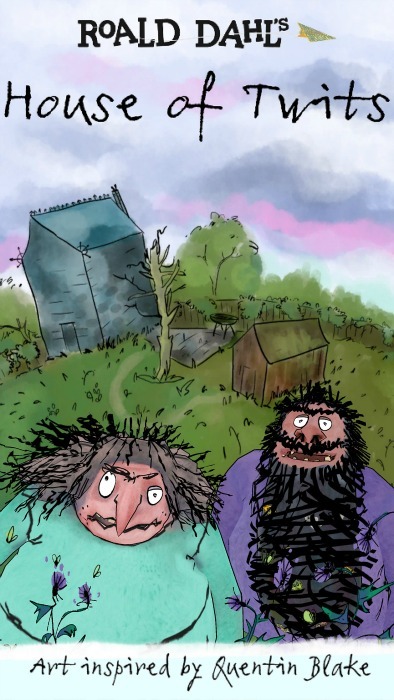 I don't usually like apps that are based on books, they don't do justice to the book, but it's different with House of Twits. I was really impressed with the app and LP continues to choose to play it. I downloaded the app free of charge in return for an honest review. All opinions are my own.